FA Youth Cup game at Heritage Park tonight! 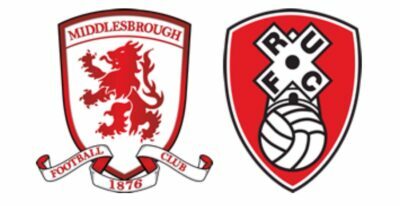 Bishop Auckland FC are proud to host The FA Youth Cup 3rd Round tie between Middlesbrough FC and Rotherham United tonight (13th December) at Heritage Park. Kick off is at 7pm and admission is only £3 for adults and £1 for Under 18’s with free admission for Middlesbrough Season Ticket holders on production of their season ticket cards. The game which features the Under 18 teams from both Clubs will go into extra time if the scores are level after 90 minutes with penalties to settle the game if the score is still level after extra time. Our ball boys tonight are from Bishop Auckland St Mary’s Under 14’s. Hot and cold beverages and snacks will be available before and during the game from the Caris Catering van inside the ground . Our function room will be available after the game this evening for drinks at the bar. Visitors from outside the area should note that if our car park is full on arrival not to park in the Sainsbury’s car park who issue fines for cars parking for more than 90 minutes.